Last night, something really cool happened at Barnes and Noble. As usual, I was introducing a friend to the PostSecret books. I brought my girl, Miranda, with me and we both wrote secrets and stuck them between the pages. My secrets were kind of gross, but that's to be expected. The exciting part was that I found a secret that somebody else put in the book!!! This has never happened to me before and when I found it, I fainted. 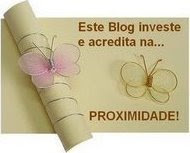 It had a picture of stick people on it, and it was about an unfaithful relationship. The girl wrote that she was cheating on her boyfriend who lived in another state. People can put whatever they want in this book, and the picture above is an example of a damn good secret. It hits close to home haha that's not true... well, maybe. But anyway, today's recipe is a delicious vegan one, of course. Its my favorite tofu dish that I've ever had. 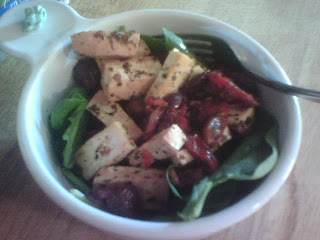 It's Olive Oregano Wine Baked Tofu from Dreena Burton's blog. She is such a god in the kitchen. I felt like I was in a Sicilian restaurant when I ate this dish, and I obviously know what that feels like haha But really, this tastes AMAZING!!!!!!! I ate mine on a bed of fresh spinach. Yummy. no need to freeze and thaw. In an 8"x12" baking dish, combine the wine, agave nectar, oregano, basil, vinegar, olives, sun-dried tomatoes, grapes, salt, allspice, pepper, and olive oil, and stir through until well incorporated. Add the tofu and turn to coat each side. Bake covered for 15 minutes. Turn the tofu over, and continue to bake uncovered for another 13-15 minutes until the tofu has soaked up most of the marinade. 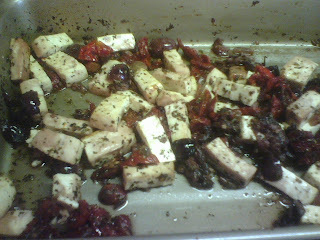 Remove from oven and let cool a little before serving; pour any remaining oil, spices, and seasonings over the tofu. Note: I use a white wine that isn't very dry, in fact it's on the sweeter side. So, if using a dry white wine, add another ½ - 1 tbsp of agave nectar to the marinade. Thank you so much for recommending this recipe to me! 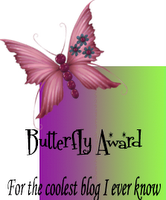 All the flavors sound really delicious and totally different from anything I've made before. I'll have to remember this for my 21st birthday next month -- then I can waltz in somewhere and buy myself some wine specifically for this tofu!!! 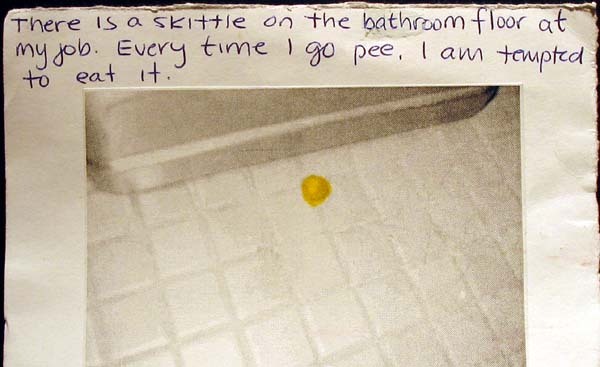 And that Skittle "secret" absolutely disgusts me -- hahaha!